Are you looking for a local, reputable and highly reliable company to supply your plantation shutters? You have come to the right place! Hayley and Terry Lancaster are your local shutter experts. 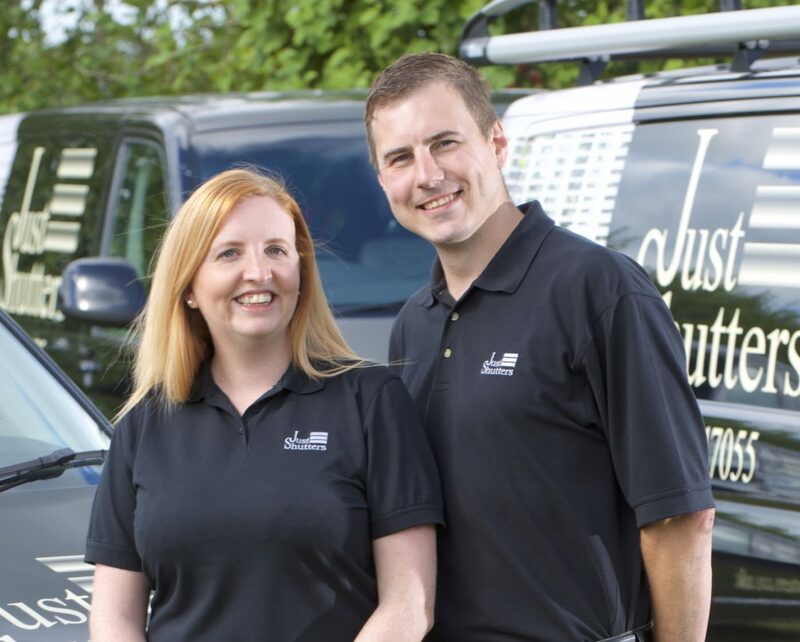 The husband and wife team are dedicated to bringing you the finest shutters, coupled with the very best service. 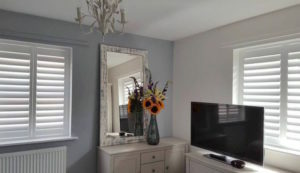 Colchester Plantation Shutters by Just Shutters offer you the widest selection of Plantation Shutters in the UK, an unbeatable reputation and lifetime guarantee. Call us now on 01206 585 117. Having served over 7000 satisfied customers across the UK since 2006, Just Shutters are delighted to bring you the best shutters in the world. With the largest choice of materials and finishes, complete with our unsurpassed service. Customers highly value the personal service offered by Just Shutters. From initial survey through to order and installation, customer service is at the core of our business. Hayley and Terry will be there every step of the way. We are specialists in plantation shutters. Just Shutters are NOT a blind company with a ‘bit on the side’. Shutters are our passion and it shows in all we do. We have a great deal of in-depth knowledge and experience to help you choose the perfect shutters for your windows and doors. As Britain’s oldest recorded town, Colchester certainly has its fair share of older buildings. We can supply and install shutters to buildings of any age and size, from castle to cottage. Shaped windows? No problem! Whether you have arches, circular openings, or perhaps angular conservatory windows, those previously ‘awkward’ areas will look fabulous with shutters. Our premium products are the very best quality at a competitive price, and are made to measure to fit your windows exactly, enhancing your home with their beautiful style. What’s more, you won’t lose light in the room. There are many further advantages to choosing shutters, which your local Just Shutters specialist can explain fully on a home visit. Contact us now on 01206 585 117. “Stunning quality and overall an impeccable service. Therefore, I wouldn’t hesitate to recommend”.